Doctors are using VR to address some of the most challenging medical problems. Think virtual reality is just about gaming and the world of make-believe? Get real. From product design to real estate, many industries have adopted VR and related technologies— and nowhere are the benefits of VR greater than in healthcare. As NBC News MACH reported previously, psychologists have found VR to be good for treating post-traumatic stress disorder. And stroke doctors, pain specialists, surgeons, and other medical practitioners have found their own uses for VR. In some cases, medical VR involves the familiar headsets; in others, 3D glasses and special video screens give a VR-like experience. 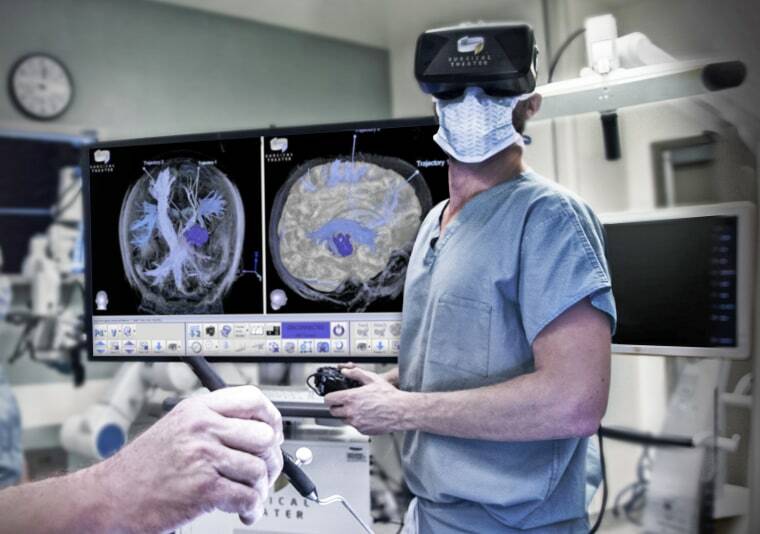 The use of VR and 3D visualization technology in medicine isn’t brand-new. Medical researchers have been exploring ways to create 3D models of patients’ internal organs using VR since the 1990s. But advances in computing power have made simulated images much more realistic — and much faster to create. These days, common surgical procedures like appendectomies or cesarean sections are often pretty routine — one case is similar to the next. But some especially complicated procedures — including the separation of conjoined twins — present unique challenges that can be met only with meticulous planning. For these, 3D visualization is proving to be a game-changer. Recently, VR played a vital role in the successful separation of conjoined twins at Masonic Children’s Hospital in Minneapolis. The three-month-old twins were joined far more extensively than some other conjoined twins, with intricate connections between their hearts and livers. That meant the surgery to separate the twins would be unusually complicated — and potentially very dangerous for the twins. Before surgery, the surgical team took CT, ultrasound, and MRI scans and created a super-detailed virtual model of the twins’ bodies — and then ventured “inside” their organs to identify potential pitfalls and plan how these would be avoided during surgery. If doctors are donning VR gear, so are their patients. They’re using the headsets to immerse themselves in a peaceful virtual world that takes their focus off discomfort associated with medical problems and treatments. Because anesthesia and sedation can be risky for some patients, including those who are frail or very elderly, some hospitals are offering these patients VR headsets as a way to help control pain during minimally invasive procedures. It’s still experimental at this point, but the results so far have been successful. Similarly, VR has been shown to reduce anxiety in cancer patients undergoing chemotherapy infusions. VR is even making injections and other painful or potentially frightening procedures less distressing to children. For these patients, Hoffman helped create the VR game ”SnowWorld,” which features imagery designed specifically to distract burn patients from pain. Patients who play the game during treatment report up to 50 percent less pain than similar patients not playing the game, according to preliminary research. Other research suggests that patients playing the game actually show changes in the brain that indicate they’re feeling less pain. SnowWorld is now being evaluated in clinical trials at four sites in the U.S. and at two international sites. VR shouldn’t be considered a replacement for pain-killing medication, Hoffman said, adding that combining drugs and VR could be especially effective. VR is also helping patients overcome balance and mobility problems resulting from stroke or head injury. Research has shown that VR-mediated rehabilitation can speed the pace at which these patients regain physical abilities. There’s a long way to go in conducting all the research needed to validate these results and make these techniques part of routine practice, Keshner said — but it’s on the way. One study of stroke patients showed that VR rehab led to more improvements in arm and hand movement compared to conventional rehab after four weeks of therapy. The VR-assisted patients had better mobility when the doctors checked in two months later. Other research has shown similarly successful outcomes for patients with cerebral palsy undergoing rehab for balance problems. FOLLOW NBC MACH ON TWITTER, FACEBOOK, AND INSTAGRAM.